FILE - In this Sunday, Oct. 28, 2018, photo, 21 Savage performs at the Voodoo Music Experience in City Park in New Orleans, Louisiana. 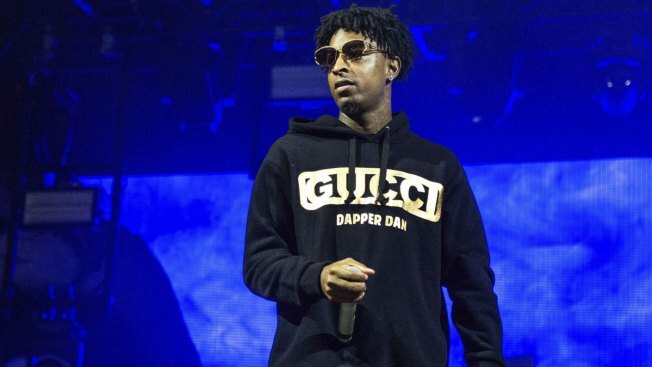 Authorities in Atlanta, Georgia say Grammy-nominated rapper 21 Savage, whose given name is Sha Yaa Bin Abraham-Joseph, was arrested in a targeted U.S. Immigration and Customs Enforcement operation early Sunday, Feb. 3, 2019, in the Atlanta area. Many supporters who rallied on Abraham-Joseph's behalf had used the hashtag #Free21Savage.